The Paulding County Water System began to experience low water pressure and volume in the western portion of the distribution system (the Yorkville area). This area was served from the east and south by two booster pumping stations transferring water to a 500,000 gallon ground storage tank located in the Yorkville community. The County hired ESI to evaluate the system and determine the required improvements for increasing the pressure and volume within the Yorkville Community. ESI developed a calibrated hydraulic model of the existing transmission and distribution system. This model was used to simulate the problems being experienced and to develop alternative solutions to the problem. The potential solutions were modeled for solving the current problems and being able to meet the future demand based on the projected growth of the area. ESI performed the planning, preliminary engineering, preparation of plans and specifications and construction administration. In an effort to provide a more reliable water distribution system with higher operating pressures the Paulding County Water System attempts to proactively identify system upgrades to improve customer service. In its planning process, Paulding County identified a project to improve service to the western areas of the County. 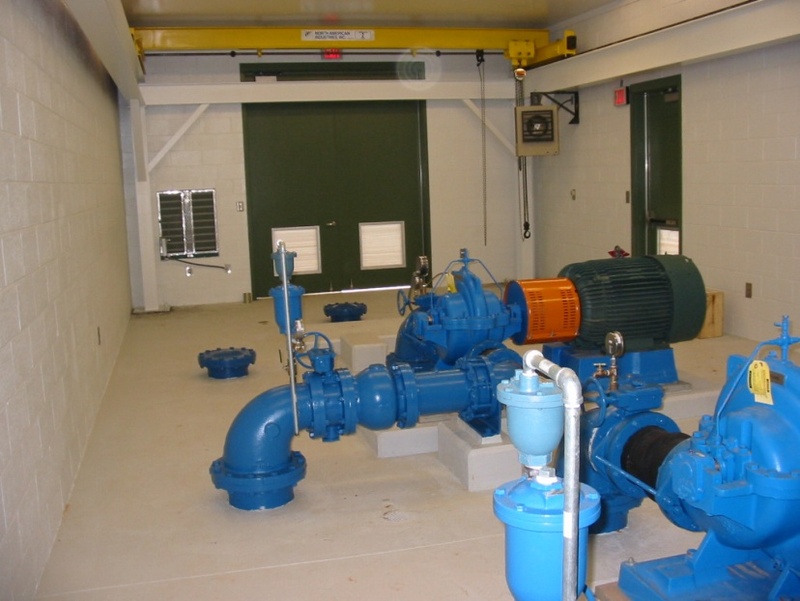 The project was to replace an older booster pump station with a new booster pump station and a new transmission main. 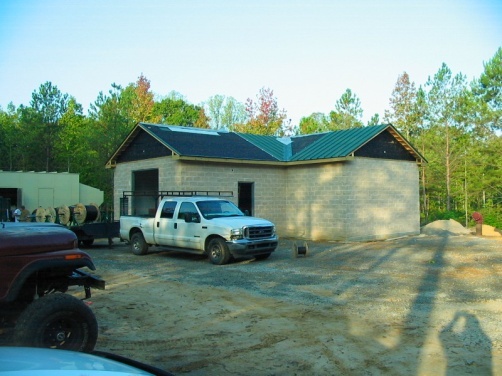 The Paulding County Water System hired ESI to perform the preliminary engineering, final design and construction management of this project. The project included a new 3,000 gpm booster pump station readily upgradeable to 4,000 gpm, and 4,500 LF of 16-inch diameter ductile iron water main. 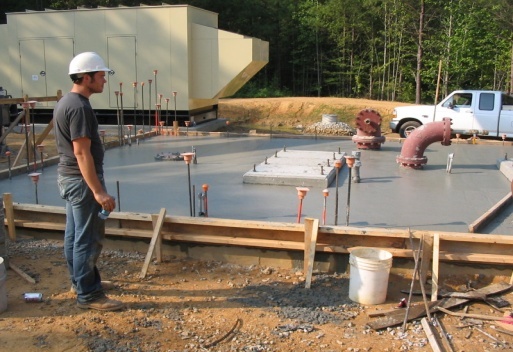 ESI performed the preliminary engineering, preparation of plans and specifications, permitting, and construction administration. The Still Branch Reservoir Intake and Pump Station is used to pump water from the reservoir to the City’s treatment plant. 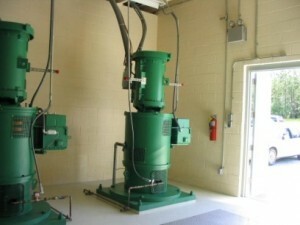 The pump station contains two variable-speed vertical turbine pumps, each rated at 12 MGD, and has room for a third pump. The total future firm capacity from the station will be 48 MGD with one pump out of service. The pumps are equipped with variable speed drives, however, the drives are not of the typical electronic type but of a recent technology that utilizes rare-earth magnets and that is referred to as permanent magnet drives. These drives require less maintenance than the electronic type. The two initial 250-HP pumps are equipped with these drives. Passive drum-type screens were used in the reservoir at three different levels. These screens minimize impact to fish and other aquatic life, are easily cleaned by purging with air, and are completely submerged. The wet well is of the trench type. This type of wet well prevents accumulation of sediment and other debris in the wet well and allows cleaning by purging with air while providing smooth, benign flow to the pumps. 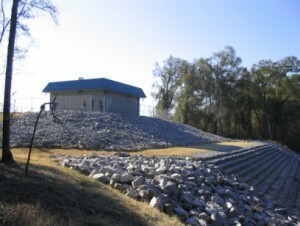 Engineering Strategies, Inc. provided all the services required on the project from siting the reservoir and pump station, conducting all stream and reservoir modeling, assisting the Owner in obtaining all permitting required, through design, construction, and assistance with initial operations. 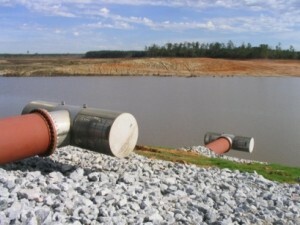 The Flint River Water Supply System was planned and constructed by the City of Griffin as a regional project to serve five counties (Spalding, Pike, Coweta, Meriwether, and Lamar) and several cities (Griffin, Williamson, Zebulon, and Concord). The Flint River Pump Station contains two pumps, each rated for 22 MGD and has room for a third pump that will be rated at 13 MGD. The total output from the three pumps will be a minimum of 50 MGD. The City has obtained a withdrawal permit from the Georgia EPD to withdraw up to 50 MGD. Passive drum-type screens were used in the Flint River. These screens minimize impact to fish and other aquatic life, are cleaned by purging with air, and are completely submerged which improves appearance over mechanically-cleaned screens, where this is a concern. The wet well is of the trench type as encouraged by the Hydraulic Institute. This type of wet well prevents accumulation of sediment and other debris in the wet well and allows cleaning by purging with air while providing smooth, benign flow to the pumps. 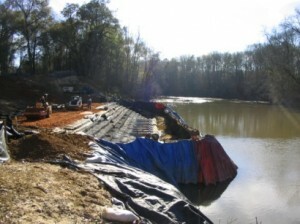 Engineering Strategies, Inc. provided all the services required on the project from locating the intake on the river, conducting all stream modeling, assisting the Owner in obtaining all permitting required, through design, construction, and assistance with initial operations.